The multifunction sail KrantzCool has been developed for suspension close to the concrete ceiling and is characterized by its extremely compact design. Due to reflow of secondary air above the ceiling sail, a uniform appearance of the ceiling sail with perforations throughout is possible. 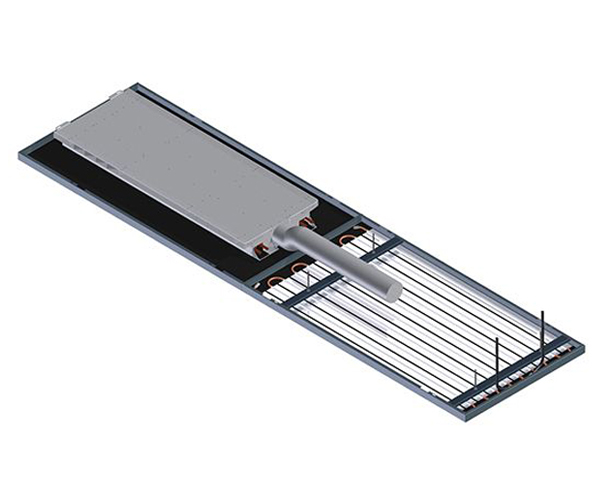 KrantzCool offers a high specific cooling and heating capacity. Because of its two-sided supply air discharge with horizontal flow pattern and the use of the Coanda effect, supply air is well-mixed with indoor air. This type of air distribution ensures that air speeds are kept low in occupied areas.